Do you hate having to run to the dealer or local auto mechanic for every small inconvenience that occurs in your vehicle? Well, it’s time to stop that. There are many things the owner can DIY without paying someone else to do it. Learning these tips not only saves your time and hard earned money, but also makes you more independent. As there are literally hundreds of DIY fixes we could not list them all. Instead, we’ve listed below the top 10 fixes you can do yourself. Going to the mechanic to change your headlights is nothing but foolishness. 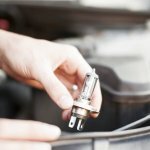 By following a few simple steps (which are usually found in your owners’ manual), you can change just about any bulb in your vehicle. Some bulbs will have a glass cover, while other bulbs need to be rotated and removed from their housing. After that fix the new bulb and you are good to go. Did you know?… More than 40 percent of all fatal car accidents occur at night. This is something that you should definitely do yourself. 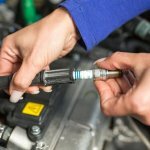 You’ll need to (carefully) removing the spark plug covers on the engine, and using a few tools remove the spark plug from their base. There are a few options when buying replacement spark plugs, specifically material. You should not need any assistance with this. 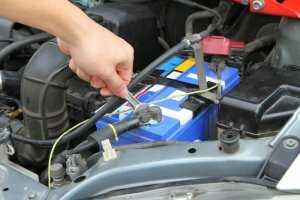 Changing a car battery should be a DIY basic necessity. Simply open your hood, locate the battery, detach the battery terminals and remove the old battery. Then, place the new battery in the vacated spot and connect the terminals to the new battery. You need to be sure that the correct terminals are attached to the respective ends of the battery. Be sure to write down your radio code before completing this task – most radios nowadays require a code after power has been cut. This is an easy job that even teenagers can do. You might want to place the front end of your car on a lift or portable stands to access the bottom of the engine compartment. You’ll need to open the round tap that is present in the lower area of the engine and let the dirty oil run out. Be sure to have a pan or disposable container ready – the oil drains quickly. After the old oil is removed, replace the round tap to keep the new oil in. 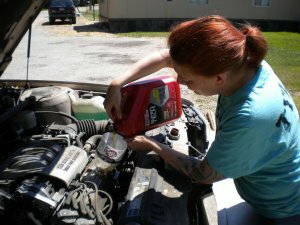 From the top of your engine bay, put a funnel where the oil enters and gradually put in the new oil. Your owners manual will tell you how much oil to add, and may suggest other DIY vehicle fixes to keep in mind. 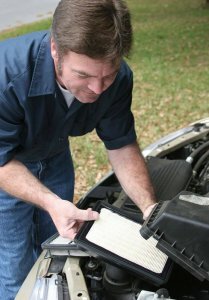 Air filters should be changed when the oil is changed. There are two air filters – one in the engine bay and one within the car to keep bacteria from entering the cabin. To change the engine bay, you’ll need to locate the pipe that exits the engine and flows to a large box. If you disconnect the clips and open the box, you’ll find the air filter. For the cabin, most filter are located inside the glove box behind a panel. You’ll need to remove the clips in order to access it. 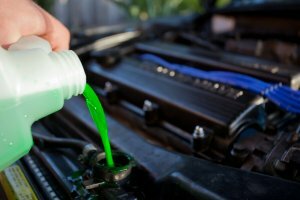 Coolant is a green, orange, or clear liquid that keeps the car at a steady temperature. Without the coolant fluid, your engine overheats and causes more problems that you’d like. To change the coolant, simply detach the plastic bottle that has been placed beside the radiator (you may need to remove plastic pieces to reach the bottle). Filter out the old coolant and put in a fresh liquid. You may want to run the car for a few minutes before driving, and refer to the owners manual again for any additional DIY vehicle fixes. 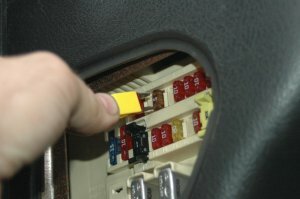 A faulty fuse can cause various functionality issues in your car. A fuse is fixed in a slot that’s within a compartment either in your engine bay or under the driver side dash. Some cars provide a pair of tweezers to help you remove a fuse. In most cases, you’ll need a small pair of needle-nose or standard pliers to get the fuse out of the box. Once the fuse is singled out and removed, you need to determine if it’s blown. This is usually quite easy. For the older glass fuses as well as the new plastic ones like shown here, if the metal link inside the fuse is separated, the fuse is toast. If not, then it’s still good and can be reinstalled. When replacing a fuse, the most critical element is using the exact same amperage rating as the blown one. If you use a fuse with different amperage rating, you risk either blowing the fuse again, or damaging the equipment the fuse is designed to protect. Let’s face it – you’re going to have a flat tire during your lifetime and it will need to be replaced. Pull over immediately when you have a flat to a safe part of the road. In your truck will be a jack and tools. You’ll first need to loosen (NOT remove) the lug nuts using the tire iron also in your trunk. Place the jack under the car and match the jack’s slot with the frame of your vehicle. Use the two hand tools to make an “L” connection, then place the hook on the jack and begin rotating your arms. When the tire has cleared the ground, remove the lug nuts and then the tire. After that, place the new wheel and tighten the nuts. The last step is to bring the car down from the inclined level and remove the jack. Don’t forget to tighten your lug nuts! 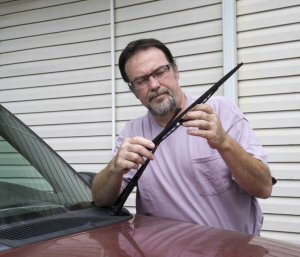 A rusty or worn wiper blade can damage your windscreen. To change them, simply undo the hook (for older models) or slide the rubber blade off (for newer models). Next, insert the new wipers and tighten to secure. Be sure to run the blades before driving to ensure they are attached correctly. Brake the lugs on your tires, then use a jack to lift your car. Remove the wheel from your car. Remove the bolts that are attached to the break caliper so you can slide the brake pads out through the top. Don’t let the caliper hang loosely; secure it using a bungee cord. Slide the old brake pads out and put the new ones in. Using a c-clamp, compress the brake piston to the point where it is easy to put the caliper assembly back over the new brake pads. Replace the bolts once you put the caliper back on. Press your brake pedal a few times to make sure you have good brake pressure. Put your wheel back on and tighten the lug bolts. 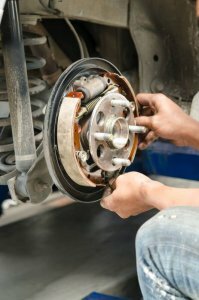 Did you know?… Nonasbestos organic brake pads are made from natural materials like glass and rubber, as well as resins that can withstand high heat. In fact, the high heat helps to bind the brake pad materials together. An advantage of organic brake pads is that they’re made of materials that don’t pollute as they wear and they’re easier to dispose of, too. 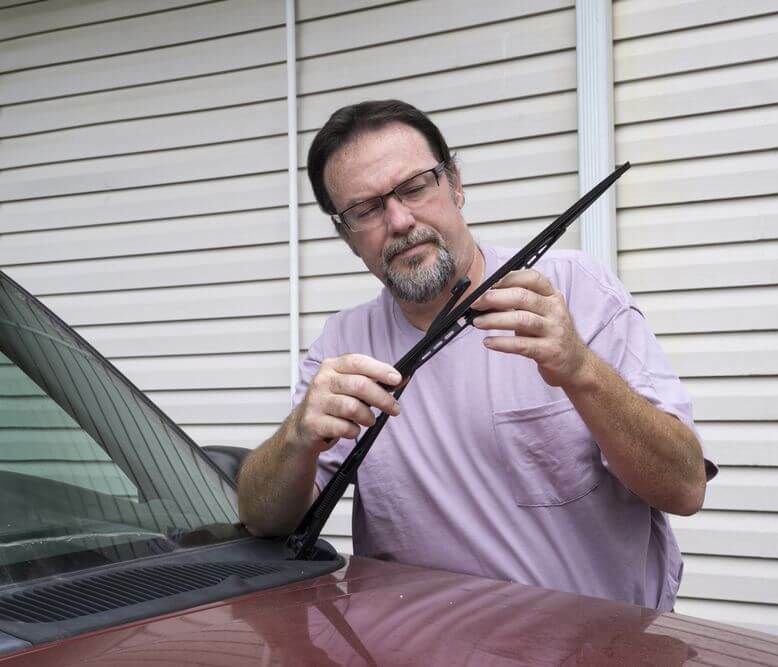 DIY vehicle fixes are easy when you know what to look for. We hope this guide is provided some information to help should the need arise.